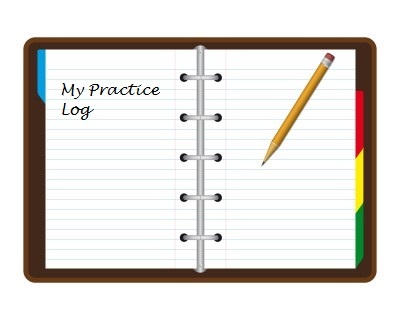 A practice log can be like a journal or it can be a series of lists. 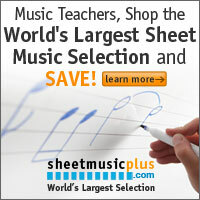 It goes without saying that practicing is the most important aspect of studying music. But in order for your practicing to be most effective, you need to plan out practice sessions, set goals for yourself and work through technical issues in an organized manner. Keeping a music practice log is one of the best ways to keep yourself on track and it is a great way to track your progress. The breakdown of your time – how long you warmed up, how long you worked on a passage of one piece, etc. Write to your heart’s content….or not….just write! A practice log can be like a diary where you write in complete paragraphs about everything you experienced in your practice session and how you felt about it. Or it can be a series of lists in short phrases and questions. Personalize it. If you are a visual person, use different color highlighters or pencils to jazz it up a bit. You can use one page a day or use one page to set up your goals for the session, one page for your reflections after the session, etc. No matter how you set up your log, the most important thing is that you use it! This is perhaps one of the most important aspects of practicing and your log makes you accountable for it. When you walk into that practice room, you need to know what it is that you want to accomplish. Do you want to memorize a piece? Do you want to conquer that tricky melismatic passage in one of your pieces? Do you want to figure out how to approach those high notes without effort? Whatever your goal is, you need to clearly define it before you start your session. Write your goal at the top of your log and have it in front of you when you practice. Then when your practice session is over, write down whether or not you accomplished your goal. If you didn’t, reflect on why. If you walk into your practice room and just start playing without any clear goals in mind, you will not be nearly as productive. No, you don’t have to actually hand it to them and have them read it for themselves (unless you want to) but you should share with your teacher how you have been spending your time in the practice room. Perhaps they have set your practice goals for you or you have set them yourself. Your teacher might want to know how much time you have spent warming up in your sessions. If you are progressing slower than you or your teacher would like, your teacher may be able to determine why by knowing how you spend your practice time. They can then guide you on how to actually practice more efficiently. Your practice log can be an excellent tool to communicate with your teacher which will only help you reach your goals. So have you ever kept a practice log before? Tell us how it has helped you in the comments below! Tagged practicing. Bookmark the permalink. Hi Regina, nice post! I am a huge fan of practice journals in my own practice, and I use them for training my students in how to practice. In fact, I’ve created an online practice journal system that does a lot of the things you talk about much more easily than a paper journal. I’d love it if you and/or your readers would check it out and let me know what you think. 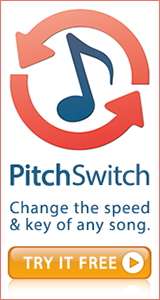 Music Lessons Resource | Powered by Mantra & WordPress.